On January 15, 2009, my life changed forever. As you may recall, I was forced to make an emergency landing in the Hudson River after the commercial aircraft I was flying struck and killed a flock of geese. 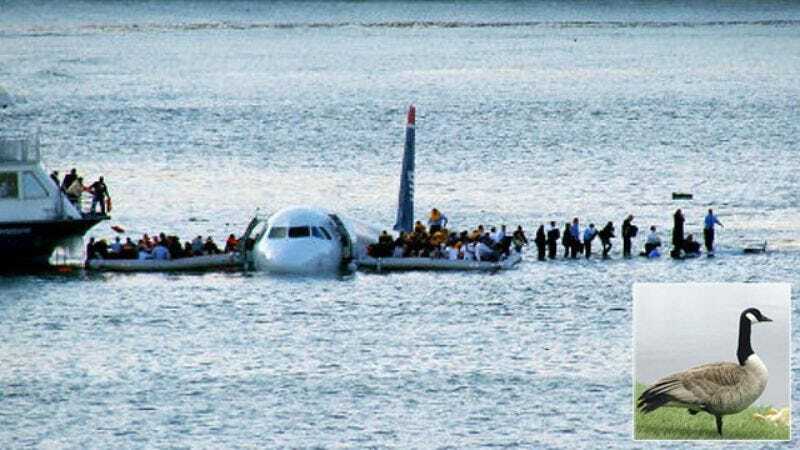 Amazingly, all 155 passengers survived the water landing, and in the months that followed, I was widely hailed as a hero. But things have quieted down since then, and at 64 years of age, I feel compelled to make the most of the time I have. With that being said, I would like to announce that I am now ready to kill more birds. It doesn’t really matter what kind of birds. Big birds, little birds, geese, pigeons—as long as it’s got wings and a beak, I am interested in killing it. Ideally, I’d kill birds in the sky again, as it’s more gratifying to slay them in their own domain. But I also wouldn’t mind killing birds on the ground. Anything is fine. Last time I killed birds, I was given prestigious awards and medals. I got to meet the president. I was a guest on late-night talk shows. Will these things happen again? I can’t be certain, but I’m fairly confident they will. Either way, my plan is simple: A) kill large birds, and B) kill many of them at once. I very much so enjoyed doing this, and now I will do it again. Big birds, little birds, geese, pigeons—as long as it’s got wings and a beak, I am interested in killing it. Here are some of the ideas for killing birds that I’ve entertained: Killing an owl with a gun in the dark of night. Killing a legion of gulls with the aid of gasoline. Killing an even larger flock of geese with an even larger aircraft. Killing a pelican with my bare hands. Leaping tandem from a plane with a skydiving instructor and vanquishing an eagle with a sword while the instructor takes a video. Any of these scenarios would please me greatly. However, the bird I would probably like to kill most is a turkey, as it is the largest bird—the king, some might say—and I could save its body to eat with my family on Thanksgiving. The turkey is a delicious bird and is just begging to be killed by Ol’ Sully Sullenberger. In conclusion, it is time for me to kill more birds. Hopefully, I won’t crash an airplane into a river this time, but I can’t make any promises. The birds will meet their maker. I am going to kill them.